In January we purchased your liquid roof material and applied it per your instructions. We wanted to wait a few months and we very impressed with the product and told several people about it. At the time I ordered I was told we would receive a $50.00 gift certificate for some before and after pictures which we have attached. The results speak for themselves. I ordered a gallon of Liquid Rubber last summer, and inquired if it could be spread with an adhesive applicator trowel; the sales person was not aware of this having been tried. I tried using a commercially available trowel with 4 sawtooth teeth per inch, and 0.135 inch notch depths, holding the trowel at about a 45 degree tilt. This worked great, and spread the liquid at exactly the recommended rate. The trowel is followed by a brush or roller to level the liquid. My application is to repair the seams on an EPDM roof; the seams are weathering much faster than the roofing membrane. After wire brushing and vacuuming the areas to be repaired, the new coating is well adhered, smooth, and continuous, and, AFTER A YEAR AND A HALF THE ROOF LOOKS BRAND NEW! 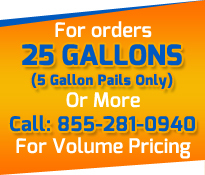 I just ordered two more gallons. Mickey: I applied the liquid rubber to the roof of our camper and after a few minutes it started to bubble up. Whats going on? What do you guys think? EPDM Coatings: Thanks Mickey. Bubbling is normal. It is part of the curing process. Normally it will take anywhere from 5-10 days for all the bubbling to cure. Mickey: Hey, You were correct. I went on the roof this morning and was amazed. It looks great. Thanks for the help. The product is amazing! We had been looking for a roofing coating for some time. We ordered a gallon in the summer to test it out on our roof, part epdm and part metal. After our initial testing we were quite amazed with the performance of the product. This is the only product that had stopped our leak, and in fact the first time in 4 years the roof did not leak. We since then completed our entire roof and saved several thousand dollars by hiring some general laborers to apply the material along with some people who work in our warehouse. This is the first time that I took the time to write a compliment but you guys asked if the product did what it said it would to let us know so I am glad to do so. Great product and great customer service! A friend of mine gave me a gallon of the Liquid Rubber he had left over after I complained to him about a chronic leak on my roof. Although my roofer did some patch work, I still had water coming in when the rain was heavy. Well I tried the Liquid Rubber in the area where the water was coming from. That was six months ago. Today, all is dry. I have to thank my friend for introducing me to this great product. Below are before and after photos on my recent installation of liquid roof. I am very pleased with the results. It was about three hours of work not including prep, but the results speak for themselves. I had my doubts, and wasn't sure if I was applying it right, but, it has truned out to be superb. I did manage to get it on my pants. But that is hardly a fault of the product. Excellent product and thank you. I expect my sunroom with the shallow roof is loving it too. I just wanted to forward to you a copy of an email I recently sent to a customer service representative I spoke with when purchasing your product. 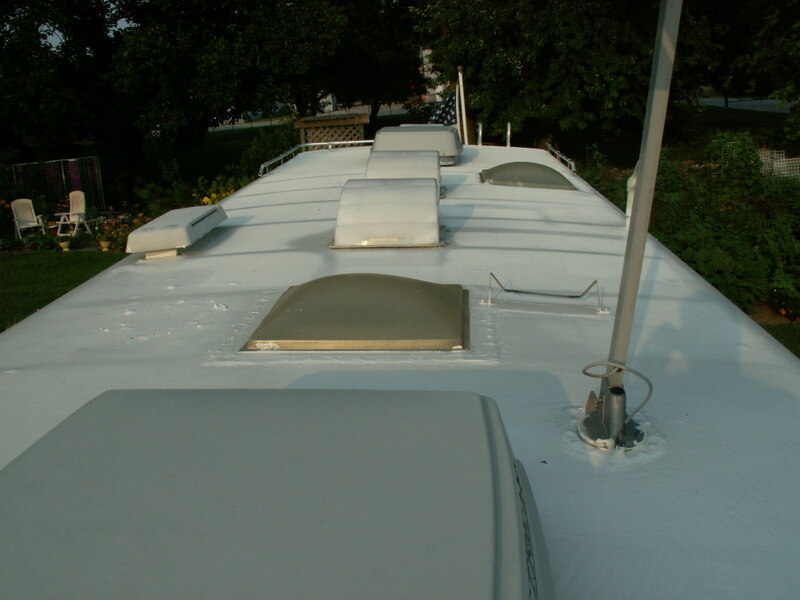 I was faced with a $7,000 dollar roof replacement esitimate for my 26.5 ft. class C motor home. I thought for sure my RVing days were over. As DIYer, I was extremely pleased with your product. It has done everything you said it would. 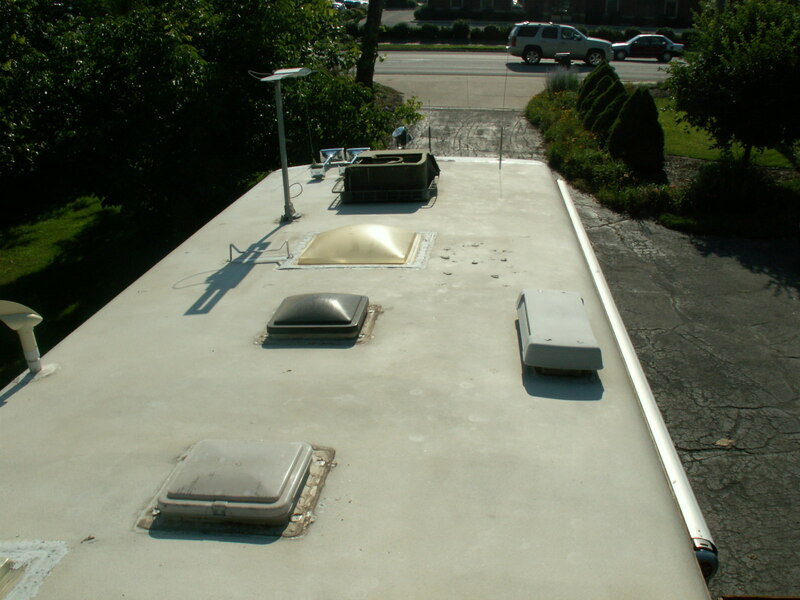 From the point of a motor home owner who was shocked with a $7,000 roof repair estimate. My roof looks brand new and has a seamless finish that looks like I will be leak free for years to come. 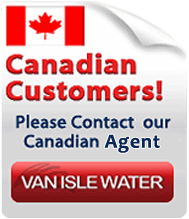 Thanks for a product that performed as promised and is well within the capabilities of a determined RV Owner to apply.